How to Recover Deleted Partition in Windows 10/8/7? Position : Tips - How to recover deleted partition in Windows 10/8/7? Partition gets deleted by accident? No need to be panic. Delete partition and files in lost partition can be recovered easily. This article will show you how to recover deleted partitions in Windows 10/8/7 as well as how to recover files from unallocated disk space. How does partition get deleted or lost? Why deleted partition is recoverable? Method 1: How to recover deleted partition using cmd? Method 3: Recover files from deleted partition / unallocated disk space? How to increase chances of successful lost partition recovery? A storage device should be partitioned into one or multiple partitions before it can be used to store data. On Windows computer, partition can be created in Disk Management, during installing Windows, using Diskpat command or third-party partition tool. Partitions are useful area, as it is responsible for keeping operating system and users' data. Once a partition gets deleted, lost or corrupted, all files in that partition are likely to get lost at the same time. For instance, when you delete partition using Disk Management, you'll get a prompt saying "Deleting this volume will erase all data on it. Backup any data want to keep before deleting. Do you want to continue?" before the partition is finally deleted. No user across the world wants to face partition loss issue. However, unfortunately, partition loss issue does occur due to various reasons. "I reinstalled Windows this morning and deleted the single partition on an old hard drive. Then I was able to create two new partitions on that drive, one is for Windows and the other to store data. But I was not sure whether everything was backed up to external hard drive. It was too late to regret data backup. I've spent hours to look for methods to recover deleted partition. Do I have to purchase partition recovery tool? Is there any suggestion?" In general, there are two options when you encounter partition loss issue. If there is not crucial data on deleted partition, you can fix it via creating new partition on the unallocated disk area or repartition the disk. However, in most cases, the lost partition contains important data and users cannot recreate new partition in case of data overwriting. Thus, users have to choose the second option – recovering deleted partition and files. During system installation, you are asked to whether to keep previous partition on hard drive. If you choose NO and partitions will gets deleted. Repartition hard drive. Disk repartition process deletes all existing partitions and then creates new volumes. Partition table damaged. Partition table save information for disk partitions. If partition is damaged somehow, partitions on the disk may disappear. Power outage. Sudden power failure can cause various issue to partitions, and one might be partition loss. Improper operations. Some operation may clean hard drive, for example you use the "clean" command in Diskpart. Once everything gets ready, you can start erasing computer hard drive or external disks. The rest part of this instruction will show you how to erase storage device in different ways. Many users may wonder why partition is recoverable after deletion. Actually, when a partition gets deleted, system removes partition information from partition table without completely wiping the disk area once occupied by the deleted volume. Whether a partition can be recognized by system depends on partition table and boot sector. 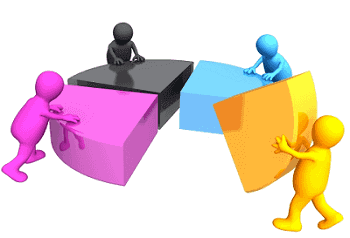 Partition table is responsible for informing system information like partition's type, size, location, file system, etc. If partition table loses such information, the corresponding partition will be lost or inaccessible. The result is that you cannot see the volume in File Explorer or Disk Management. Fortunately, the disk space becomes unallocated only without being wiped, which means partition recovery is possible. If you use professional partition recovery software, you'll be able to find the lost partition together with its files and then restore it to its previous state. In some cases, we can undo Diskpart clean command in order to undelete partition. But, this method does not work on all partition loss issue. If this method cannot get back your lost partition, you should go to Method 2 and Method 3 to recover data. Step 1 Open Disk Management to view which partition is lost. You can access Disk Management by right-clicking Start menu and click Disk Management. If a partition is deleted, the disk space will be marked as Unallocated. Remember the partition size. Step 2 Open Command Prompt as administration and type Diskpart in the window and press Enter key. Step 3 Type command list disk and press Enter key so that you can see all storage devices on the computer. Step 4 Type command select disk # and press Enter. Replace # with the number of the hard drive that needs recovering lost partition. Step 5 Type assign letter=G and press Enter (G is a drive letter chosen randomly). Step 6 Close Command Prompt when you see "Diskpart successfully assigned the drive letter or mount point". Note: if you are not familiar with diskpart commands, do not try any commands without fully knowing its function. Some commands such as "clean" delete all partitions and data on selected disk. This solution can be used to recover lost partition under Windows, DOS or WinPE (recovery boot disk) environments. Thus lost partitions can be restored even when computer cannot boot. Partition recovery software is able to recover the entire deleted / lost partition as well as retrieve data from damaged or corrupt partition. It is important to choose proper software to undelete partition. With efficient partition recovery software, lost partition and files can be recovered in no time. One of the trustworthy program that can be used to do lost partition recovery is Eassos PartitionGuru Pro. This program is able to restore deleted partition to the state before it gets lost, which means you can get the original lost partition directly. Step 1 Download, install and launch Eassos PartitionGuru from your computer. Then you can see all disks on your PC. Step 2 Select and right-click the hard drive / disk area that lose partition, and select "Search Lost Partition (Partition Recovery)" option under Tools menu or you can click Partition Recovery button from toolbar. Step 3 Click Start button on the Search for Lost Partition window. In this pane, you can set searching range, such as Whole Disk, All Free Space or The Selected Space. Besides, you can customs searching range by enter specific Cylinder number. Step 4 Reserve partitions you want to restore and ignore incorrect partitions. Note: partitions reserved in this step are not saved to partition table, and they are not finally restored before being saved to partition table. How to decide which partition should be reserved or ignored? Eassos PartitionGuru provides file preview feature, and you can preview all files in the partition displayed by the software. Therefore, you can accurately judge whether the partition is the one you want to recover. Step 5 Click Save All button to save lost partition to partition table and get partitions recovered. If all your lost partitions have been found and reserved by the software, you can stop searching process and restore partitions directly by saving them to partition table. Then you can open these partitions in Windows Explorer and access files. Note: Saving lost partition to partition table changes current partitions and data. If you do not want to make change to existing partition situation, you can choose files you need and copy them to another disk. Method 2 recovers deleted partitions by restoring it to previous working status, while this method shows you how to retrieve files from deleted partition / unallocated disk space. The data recovery tool is able to scan free disk space for lost file and folders and you can recover desired files to a secure location. The recovery process is ready-only to original disk area and it is safe to use even you are new to data recovery task. Step 1 Launch Eassos PartitionGuru, right-click free disk space and select Recover Lost Files from context menu. Step 2 Select Complete Recovery mode and click Start button. If you want to perform deep scanning during file recovery, you can select "Search for Known File Types" option. Step 3 Preview and filter files to locate what you want to recover. Eassos PartitionGuru allows users to preview all recoverable files so that users can make sure if your files can be recovered correctly in advance. It supports previewing photos, images, videos, audio, documents, text file, etc. Besides, you can use the file filter tool to find out files quickly, saving time and efforts. Step 4 Recover files you need. Select files and folders you want to recover, right-click them and select "Copy to". Then you will be prompted to set a location which is different from the area being recovered data, and save recovered data. When files are recovered, you can open target folder to check files. As to the free disk space, you can create a new partition on it or allocate it to current partition. To increase the chance of successful recovery of deleted or lost partition, you need to follow some basic principles and take immediate steps after partition deletion. Stop saving data to the hard drive once you realize partition or data gets lost; otherwise lost partitions and files will be damaged and overwritten, and they can never be recovered. Do not try any manual methods which haven't been proved security and efficiency. Recovering partition using unproved methods may lead to further data damage, or even cause registry problem. Do not make any change to current partition table. As has mentioned above, partition table records all information for volumes, do not modify current partition table in case of messing up other partitions. Do not create new partition. Creating new partition on disk area taken by lost partition will lead to data overwriting issue and increase the difficulty of recovery. Select an easy-to-use and effective partition recovery tool to solve the problem. Make sure the recovery software you use is clean and powerful enough to deal with partition recovery issue. This instruction presents methods to partition recovery as well recovering files from deleted volume. You can choose either recover lost partition directly or save recoverable data to a different drive. Recovering deleted partition differs from file recovery in that partition recovery restores entire partition to previous working state and restores partition table. If your disk is suffering from partition loss issue, download Eassos PartitionGuru and gets back lost volumes in no time!